It is strong, the blog is!!! 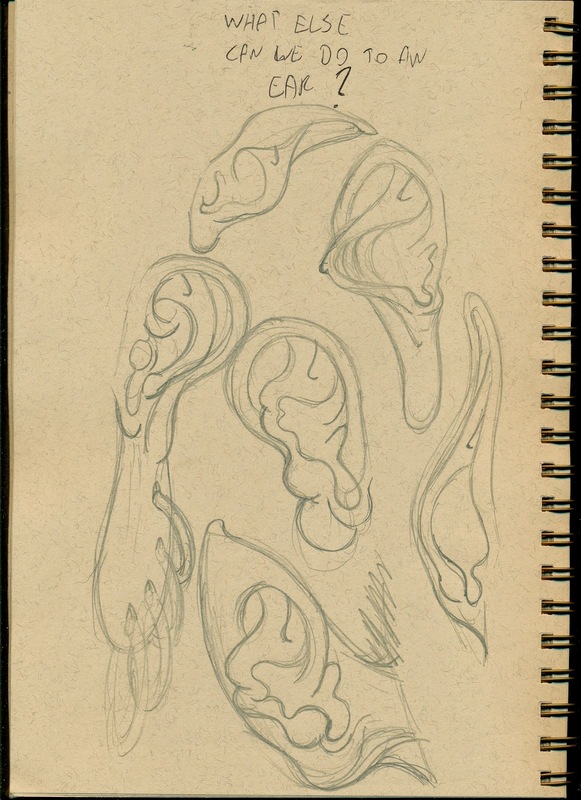 : Study of the ear. "HATAL"
Sorry i haven't been posting a lot recently ive been pretty busy and i got food poisoning over the weekend. 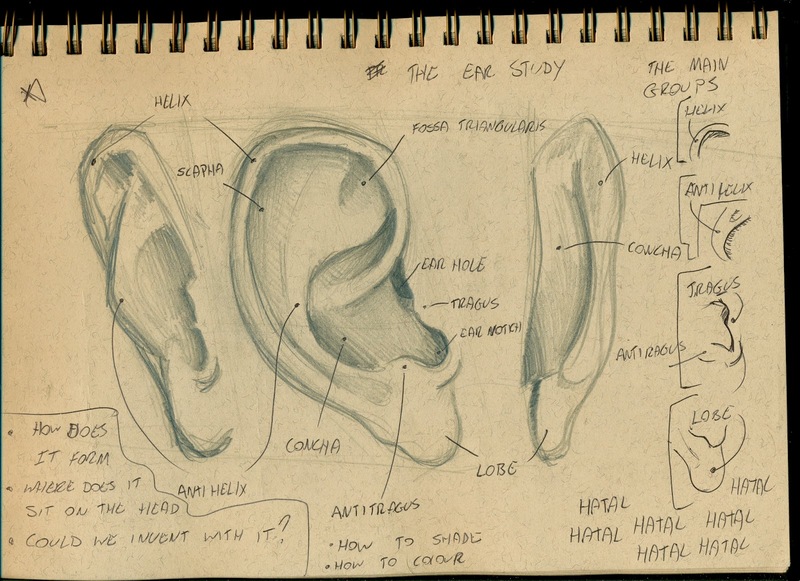 Anyways here is some studies that i have done about the ear. Every time i see a digital painting or even sometimes artwork i notice that the ear isnt completed, why is that i don't understand. To me personally i feel that it might be because the ear is quite difficult to draw. So i decided to do a study of the ear and learn the structure, colour, muscles and how characters have an ear designed for them. Here are the muscle structures of the ear from each angle. now although ive listed the muscles here if you notice though i keep putting the word "HATAL" this word is important because it spell out the most important landmarks of the ear, Helix, Anti Helix, Tragus, Anti Tragus and Lobe. The sketches on the right side show these landmarks. This show where the ears are usually placed on the head and in terms of perspective if the head moves down then the ears go up and vice versa. To colour an ear is very interesting because our ears are somewhat transparent like an orange. when light shines through them they become much brighter and more saturated in red and pinks. 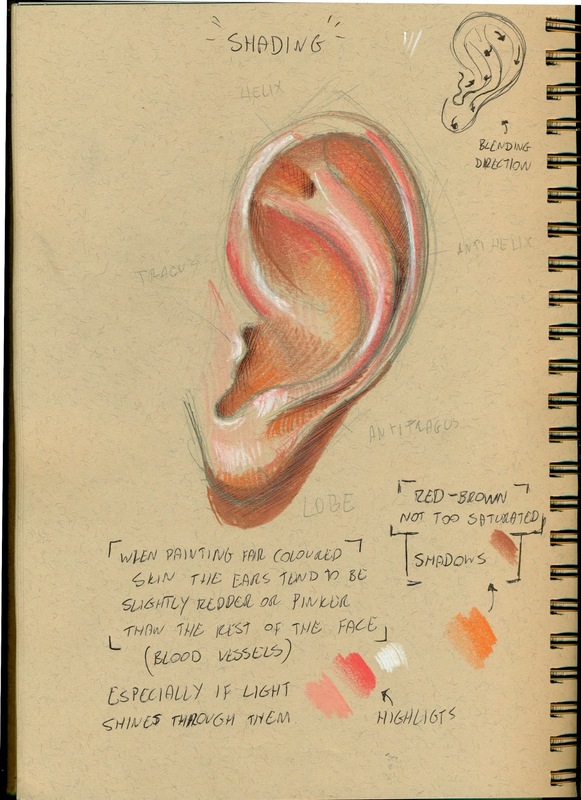 The trick for ears is to always think in warm colours because there is so much circulation around that area. 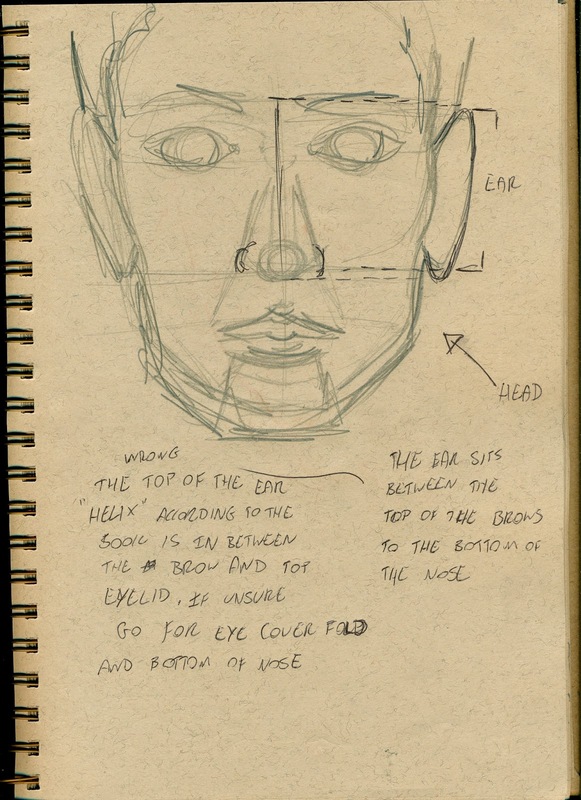 This makes a lot of sense because on the face itself you tend to have more blood flow in the middle of your face and from the sketch above your ears are placed in the middle of you face. 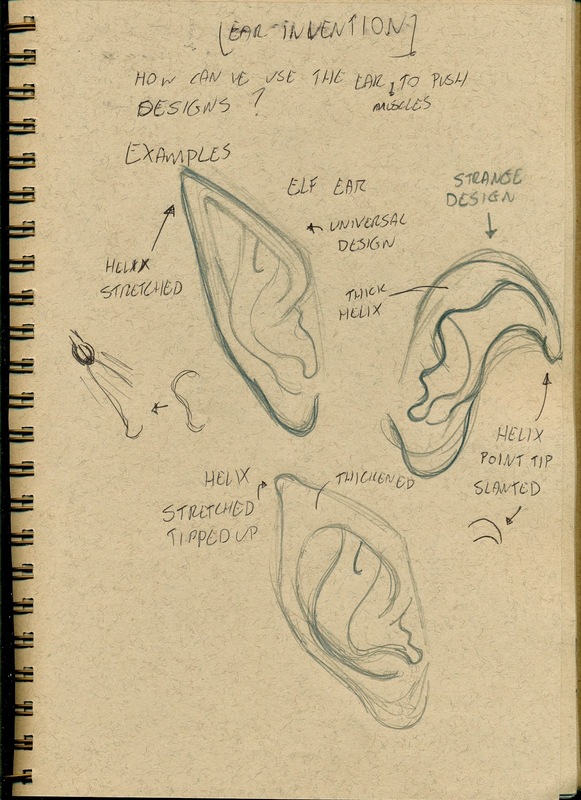 Here are tyrpical sketches of what a creature of character would have with exaggerated ears. 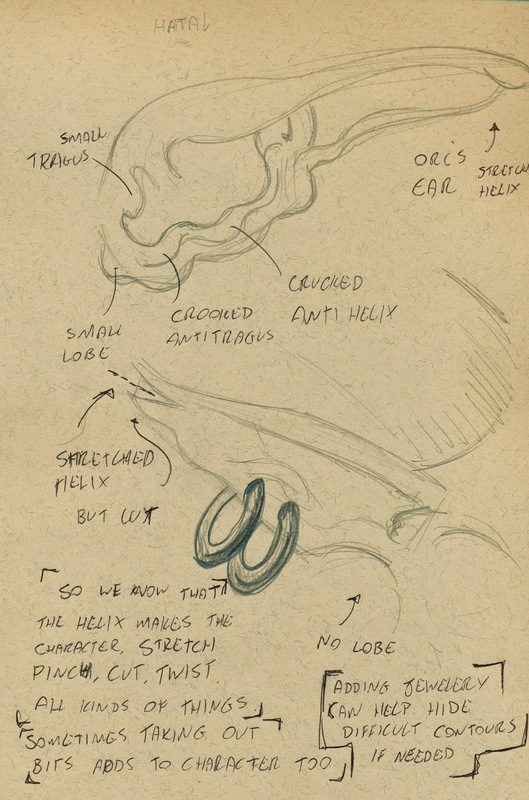 This sketch os what you can do to take the ear to its full potential of exaggeration. Notice that the helix is what is mostly used to portray a character by changing it form you can get something totally different.